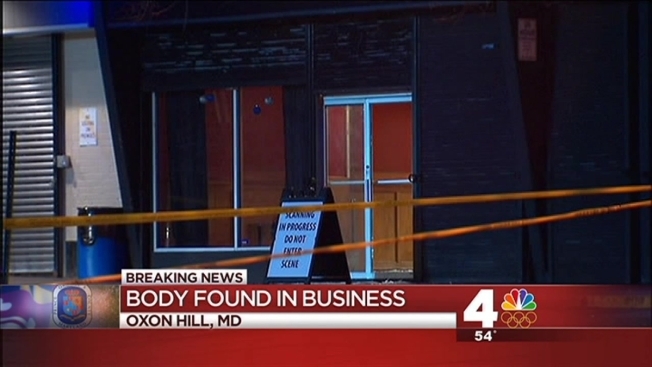 Prince George's County police said they arrested the proprietor in the shooting death of a man inside a locked Oxon Hill restaurant. According to police, Gary Antonio Jones, 35, of Fort Washington got into an argument with 32-year-old Cinaway Lateef Morson prior to the Monday evening shooting. When officers arrived at the scene in the 800 block of Southern Avenue just before 6 p.m., they found Morson of Temple Hills suffering from gunshot wounds inside Jones' Sweet Soul Cafe and Lounge. He was pronounced dead at the scene. No one else but the victim was inside the restaurant when officers arrived, police said. Jones was arrested at his home Tuesday morning. The murder weapon has been recovered, authorities said. Jones has been charged with second-degree murder.